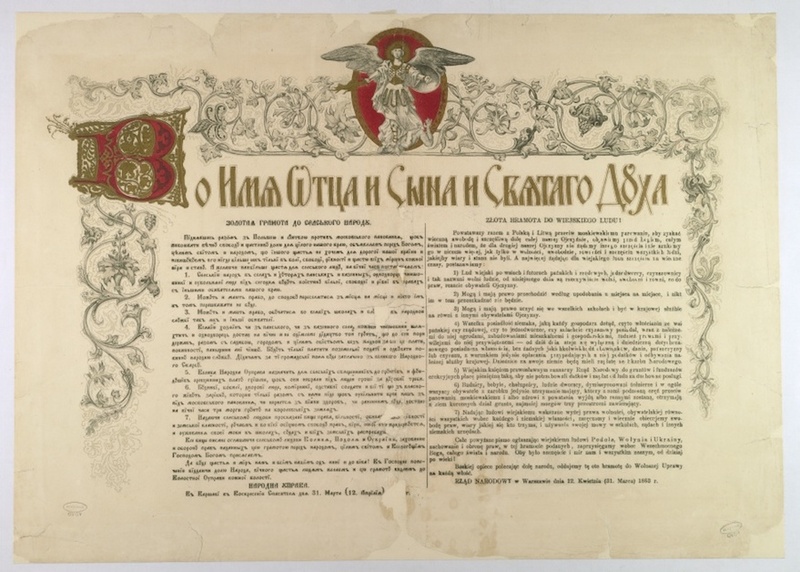 The documents present the nation’s aspirations to restore the sovereign state of Poland, which had been eradicated as a result of the three Partitions. 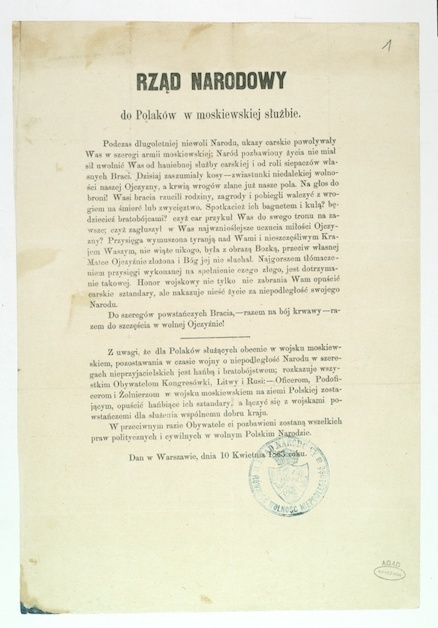 The January Uprising of 1863 to 1865 not only became a symbol of the Poles’ patriotism and their readiness to fight for the preservation of all things Polish, but also evoked an international resonance, primarily amongst oppressed nations and oppressed social classes, as well as giving rise to the radicalisation of their stances. It thus influenced the growth and development of national independence movements in other European countries. The records relate to an event of particular significance to a large part of the continent and they possess a social value which transcends the bounds of national culture. They depict the activities of the Polish National Organisation, reveal the phenomenon which was the formation of the underground Polish state and retrace a crucial moment of the country’s history under the Partitions, as well as conveying information of the essence as regards the places where the events they depict took place. 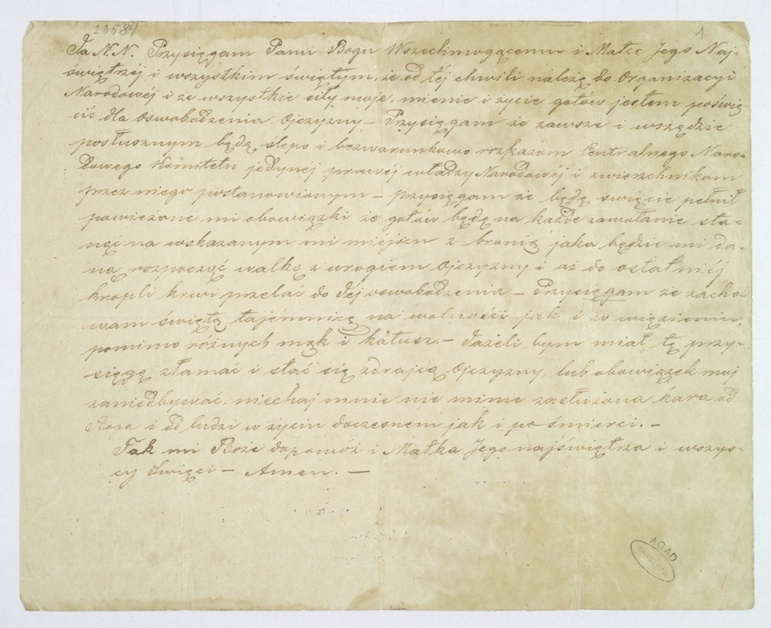 Following World War II, a great many of the Documents of the Underground Polish State of 1861 to 1864 now held in the Central Archives of Historical Records were taken over from the National Museum in Warsaw, having been gifted to that institution by private individuals between 1917 and 1938. 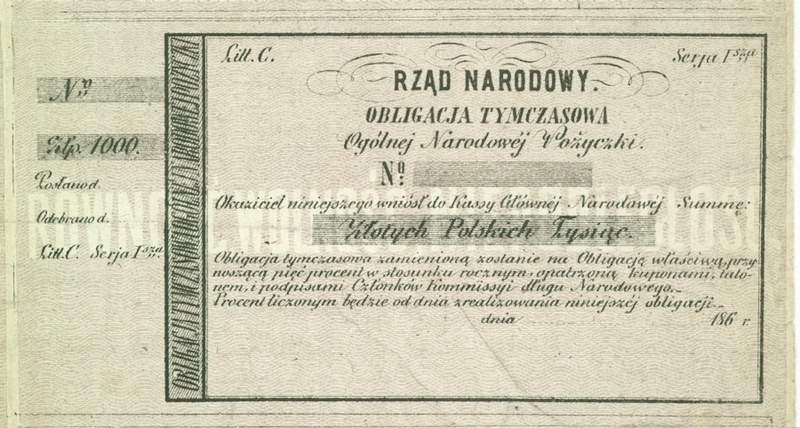 In the nineteen fifties, others were transferred from the Archives of the Central Committee of the Polish United Workers’ Party, which had come into their possession via the confiscation of material from institutions and private individuals alike. They also include undocumented acquisitions which were either purchased or donated, or reclaimed from the USSR.